About Us - De La Salle College "Oaklands"
In the name of the entire De La Salle College ”Oaklands” community: students, parents, staff, alums and benefactors, I extend my greetings. 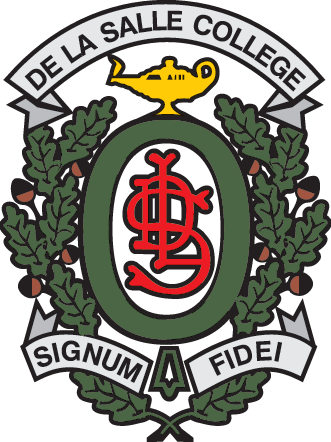 Established in 1851, De La Salle College “Oaklands” is part of a world-wide movement inspired by the life and work of St. John Baptist de La Salle who responded to the needs of his time in 17th Century France by founding a religious community of teaching Brothers and providing a Christian education mostly for the sons of artisans and the poor. What he accomplished, however, was more than just open schools, he created a vision of educating youth. Throughout its long history Brothers and many other dedicated persons have worked tirelessly to continue this vision at the College. A Lasallian school is centred on a life of faith. In such a school, God's presence is a lived reality. It is a Christian school in the Roman Catholic tradition which proclaims the message of the Gospel to today’s youth. The Christian action and community service programs are an essential part of the education of young people attending the College and assist in the fostering of charity, tolerance and a concern for the poor. De La Salle College “Oaklands” has an outstanding tradition of academic excellence and, like all Lasallian schools, it continues to foster excellence in all areas of school life. Community service and other Christian action initiatives make up an essential component of the educational experience of young people attending the College. These programs assist students in fostering the virtues of charity, compassion and concern for the poor. Education in the Lasallian tradition is about how to make a life and not simply how to make a living. Such a view is not always easy to pursue since our culture is generally indifferent to this vision. A sound, Christian education based on good example, charity, and excellence is arguably the greatest gift that can be bestowed on the young. I invite you to become part of this vision in whatever way possible. May the Patron of All Christian Teachers, St. John Baptist de La Salle bless you and those dear to you. Live, Jesus in our hearts. Forever. President, De La Salle College "Oaklands"
Since the Second Vatican Council which ended over fifty years ago now until our own days, a great deal has changed in the life of the Church. The shortage of priests and Religious Sisters and Brothers, the introduction of a new liturgy, and the disappearance of many Catholic customs and practices have been much in evidence during these years. Attendance at Sunday Mass is at a historic low and the sexual abuse scandals continue to plague the Church in many parts of the world. It is not my intention here to critique the media or to do an analysis of the quality of “news” coverage in our time. Suffice to say though that “news” as we used to understand it can be as seemingly normal as the national news broadcast on television or as bizarre as information through Buzzfeed.